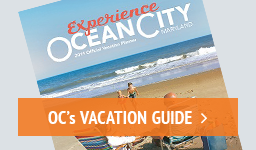 View and download the 2019 Ocean City, Maryland Press Kit. View and download Ocean City, Maryland Metrics Reports. How many visitors does Ocean City host annually? About 8 million, with the majority during the summer months. How many hotel rooms are in town? We have 10,000 rooms to fit every budget and travel style. How many condominium units are available? More than 25,000, so visitors can get comfortable in a setting that feels like a home. Ocean City offers more than 200 restaurants. So whether you're ready to forget your diet or you want to stick to it, the choices are endless. From fine dining, to carry-out, to boardwalk specialties, there's something for every taste in OC. There are 17 courses within a short drive of Ocean City. About 10 miles of beautiful sparkling sand. How long is the boardwalk? It's 3 miles. Great place to train for a 5k and enjoy scenery! How large is Ocean City? The whole city encompasses 4.5 square miles. Feels intimate but with endless possibilities. When was Ocean City founded? The founding date is considered to be July 4, 1875, when the original Atlantic Hotel opened for business. Ocean City was incorporated as a municipality in 1880. According to the 2010 census, Ocean City has 7,102 lucky citizens that get to call this place home. To learn more, check out this TODAY Show segment featuring Ocean City, MD!